For decades, selling a house in the U.S. was a low-tech, high-stress affair. You hired an agent, fixed your mind on a number, and decided how much time and money you wanted to spend repainting walls, redoing bathrooms, and making other repairs that had seemed too costly or inconvenient to make for your own benefit. You locked up your pets, lit some scented candles, and opened the door to a parade of strangers. Then you waited for an offer—ideally, more than one—and hoped your agent would be able to deliver the price you needed so you could afford your next abode. There has long been another way, selling to the kind of investors who post signs under the highway overpass promising cash for ugly houses. Those home “flippers” have an unsavory reputation, partly because they’re seen as pushing lowball offers to those behind on their mortgage payments or otherwise desperate—the newly divorced, the widowed, or the unemployed. 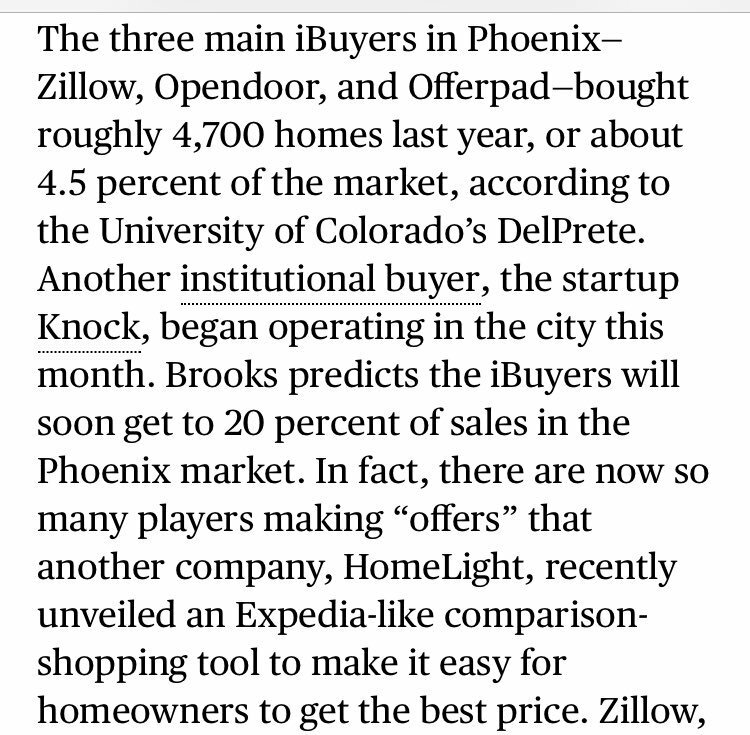 Zillow is part of a new breed of high-tech home flippers, sometimes called “iBuyers,” that also includes Silicon Valley startups and a small group of adventurous real estate brokerages that have instant-offer operations. Armed with Wall Street and Silicon Valley capital and algorithms designed to make granular predictions about home prices, these investors are buying homes on a massive scale, wringing tiny profits out of each flip. That makes them valuable to the Rittenhouses and the thousands of other Phoenix-area homeowners who used them last year. It also makes them potentially scary to real estate agents, big-data skeptics, and anyone who remembers the recent history of innovations in housing finance. 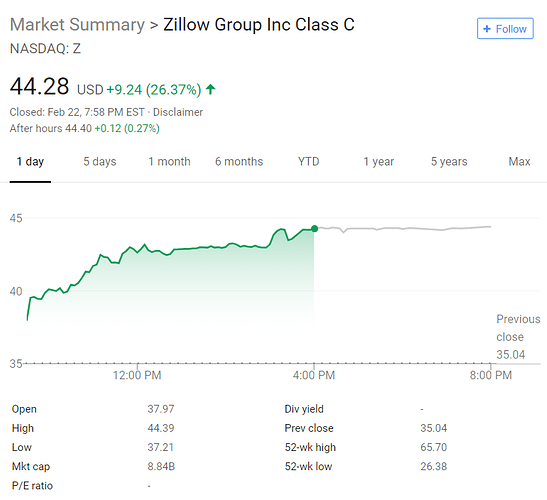 We are late by few days, 26.37% up zillow, but they are on right track now. Cramer on Zillow flipping homes. They have crazy expansion plans between this and mortgages. I can’t decide if this will be a 10x stock or not. A founder came back to run it, and the CFO is ex-Amazon. I think that Zillow could lose its audience and its advertising base. What’s more, market researchers kept finding that consumers said they’d pay a modest premium to get a cash offer. Probably neither. Give them 1 year to prove the concept when the market price goes down Ouch! 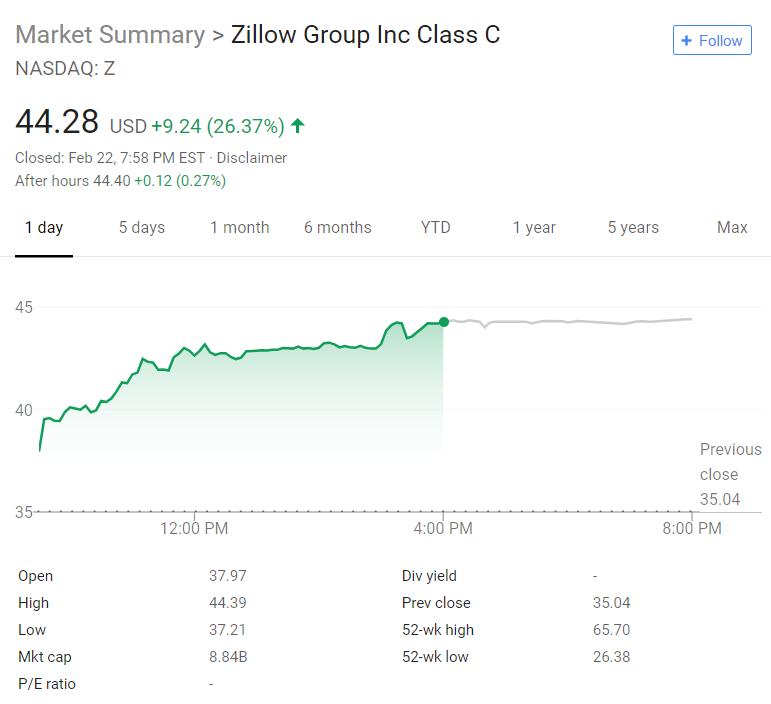 Does Zillow get a loan to buy houses? If it’s cash buy, they will hit a limit sooner.